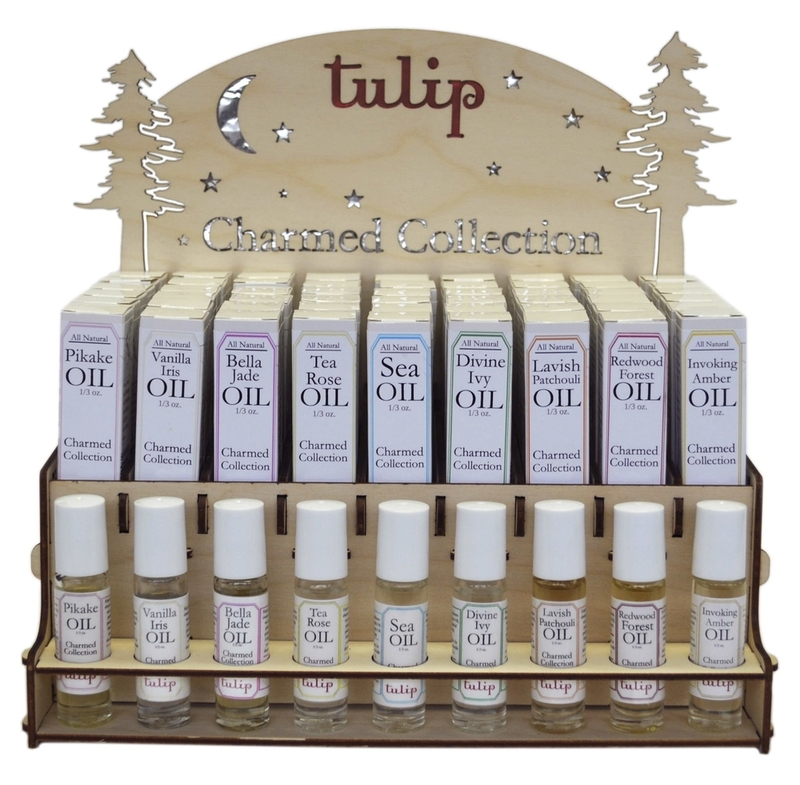 Tulip is an all natural boutique fragrance and body care company in Humboldt County, CA. We produce artisanal, small batched fragrances inspired by Humboldt County’s rural sophistication and values. Perfumer/owner, Victoria England infuses her passion for the natural world into every unique scent blend. Made with only the finest quality ingredients available Tulip has an honest committed to the health of our customers and the environment. All our products have absolutely NO: phthalates, parabens, dyes, drying agents, harsh preservatives. 100% vegan and cruelty free as well as all of packaging is 100% recyclable. A sincere thank you for spreading the word about Tulip. Tulip: Smell good. Do good. Cast a spell. "Everything we know about allure we've learned from nature. Nature strikes us. She makes us stop in wonder, put our hand to our heart and breathe in. Nature was not meant to be harnessed, but to be paid homage. It was this in mind that Victoria England created Tulip Perfume." Greenlifestyles.org - "The Story of Tulip Perfume"
Vegan Cuts " Best Beauty Finds At Expo West"
Sign up with your email address to receive up to date press releases. We respect your privacy as much as your choice in fragrance. We appreciate you spreading the word about our products! Thank you! light and crisp herbs, oriental musk, hyacinth and exotic woods. Deep and alluring orange blossom, amber resin, rose and patchouli. Divine blend of lily of the valley, bright ivy, white rose, jasmine and grass.